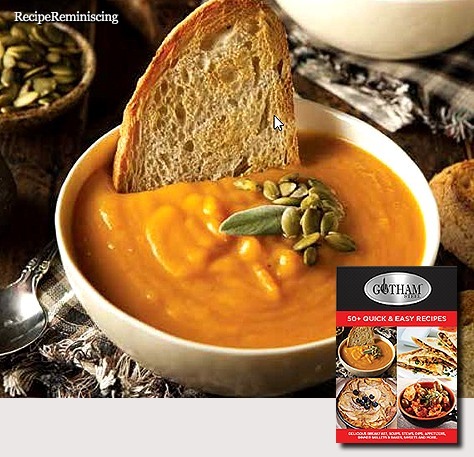 Butternut squash (Cucurbita moschata), sometimes known in Australia and New Zealand as butternut pumpkin or gramma, is a type of winter squash that grows on a vine. It has a sweet, nutty taste similar to that of a pumpkin. It has tan-yellow skin and orange fleshy pulp with a compartment of seeds in the bottom. When ripe, it turns increasingly deep orange, and becomes sweeter and richer. It is a good source of fiber, vitamin C, manganese, magnesium, and potassium; and it is an excellent source of vitamin A and vitamin E.
Although technically a fruit, butternut squash is used as a vegetable that can be roasted, sautéed, toasted, puréed for soups, or mashed and used in casseroles, breads, and muffins. The most popular variety, the Waltham Butternut, originated in Waltham, Massachusetts, where it was developed at the Waltham Experiment Station by Robert E. Young. 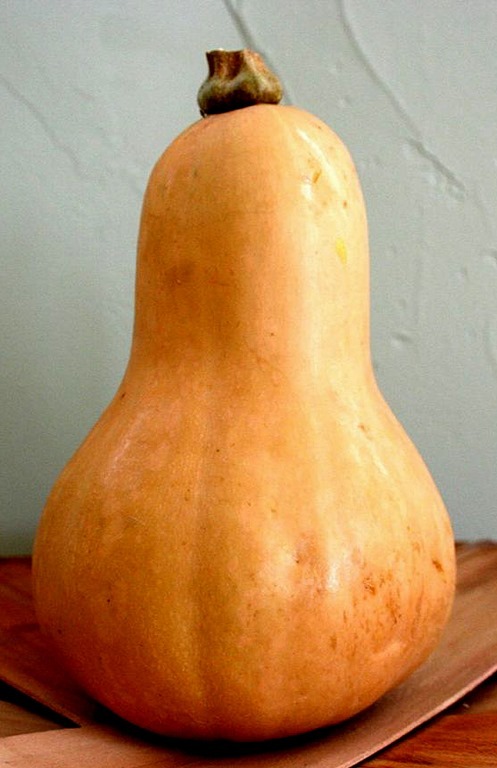 Dorothy Leggett claims that the Waltham Butternut squash was developed during the 1940s by her late husband, Charles Leggett, in Stow, Massachusetts, and then subsequently introduced by him to the researchers at the Waltham Field Station. She also claimed that name came from “smooth as butter, sweet as nut”.